2019 Acura TLX Technology Package near Washington D.C.
It’s easier than ever for drivers to stay connected behind the wheel of the Acura TLX thanks to the 2019 model’s available Technology Package. Providing drivers with top-of-the-line connectivity and entertainment features, the new 2019 Acura TLX Technology Package comes with plenty of features that today’s drivers are looking for. One of its biggest highlights is its 10-speaker ELS Studio Premium Audio System, which offers crisp and clear sound for your favorite music and podcasts. The Technology Package also adds Intuitive Navigation which functions through an 8-inch LED screen and utilizes Voice Recognition control. Driver Assistance Technology is also available with this impressive model, keeping drivers safe and aware of the road around them. Get the 2019 Acura TLX with Technology Package near Washington D.C.
To learn more about the features and specs that come standard with the 2019 Acura TLX, be sure to check out our review of the 2019 Acura TLX standard model. Drivers interested in getting behind the wheel of the new 2019 Acura TLX can find it here at Radley Acura. We’re located in Fall Church, VA and are happy to cater to the Washington D.C. We’re proud to serve customers from Washington D.C., Alexandria, Arlington, Fairfax, Springfield, Mclean and Falls Church. Simply give us a call or contact us online by clicking the button below and filling out an online contact form and we’ll be happy to work with you to set up an appointment to take a test drive in one of our available models. We’re sure you won’t be disappointed! 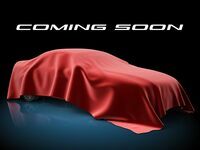 Interested in a 2019 Acura TLX?